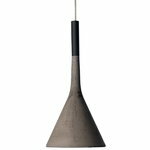 The Aplomb pendant lamp from Foscarini is designed in 2010 by an Italian design studio Lucidi & Pevere. 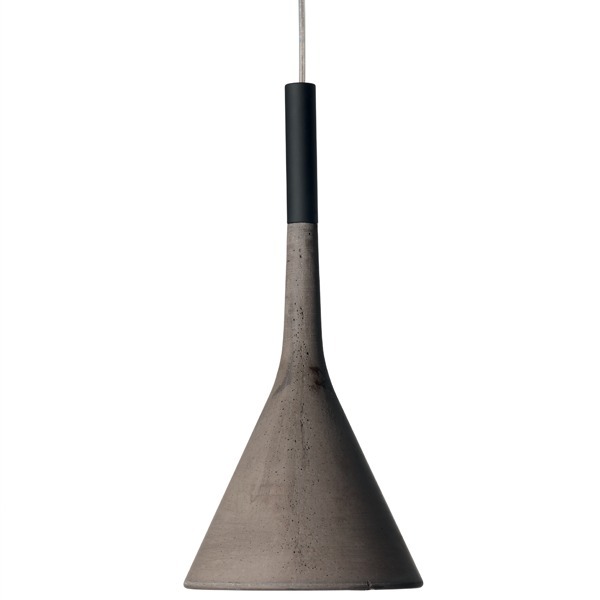 The lamp is made of concrete which is an important part of the modern architecture. 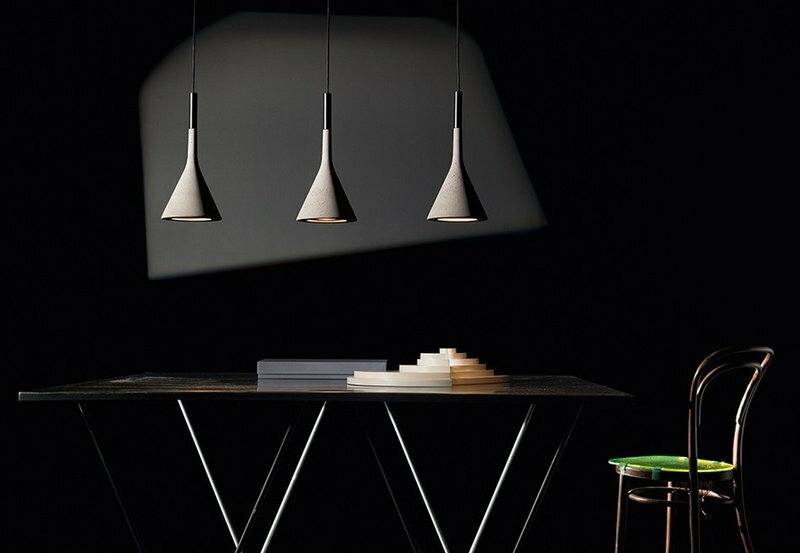 Aplomb uses this material in an innovative kind of way. Hang the lamp on its own or use several lamps as a composition at different heights. Paolo Lucidi (Udine, 1974) and Luca Pevere (Udine, 1977) studied at the Milan Polytechnic, where they graduated in Industrial Design. After graduation Lucidi worked for a while in the studio of Piero Lissoni and Pevere learnt with Clino Trini Castelli and with Marco Ferreri. 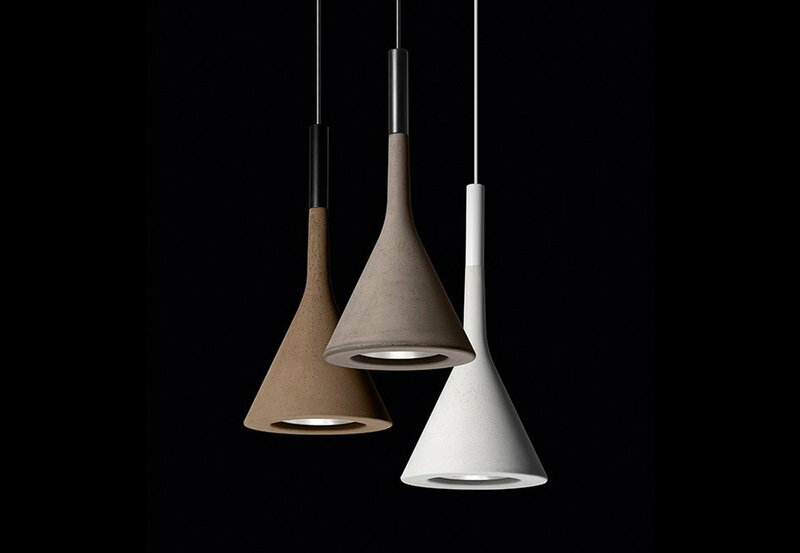 Pevere and Lucidi got their first commission together in 2002 and in 2006 they established their own studio Lucidi & Pevere. These days, they are very well known designers and they work for internationally renowned companies.